Barney joined the University of Sydney in July 2010. He received his PhD in Information Systems from the National University of Singapore. 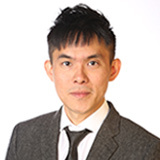 His research interests include strategic information systems, enterprise systems implementation, electronic commerce, Chinese IT management and qualitative research methods.